Recently when my mom came to visit, she and I (along with a friend) took a day trip to a town about two and half hours away from here -- La Rambla. 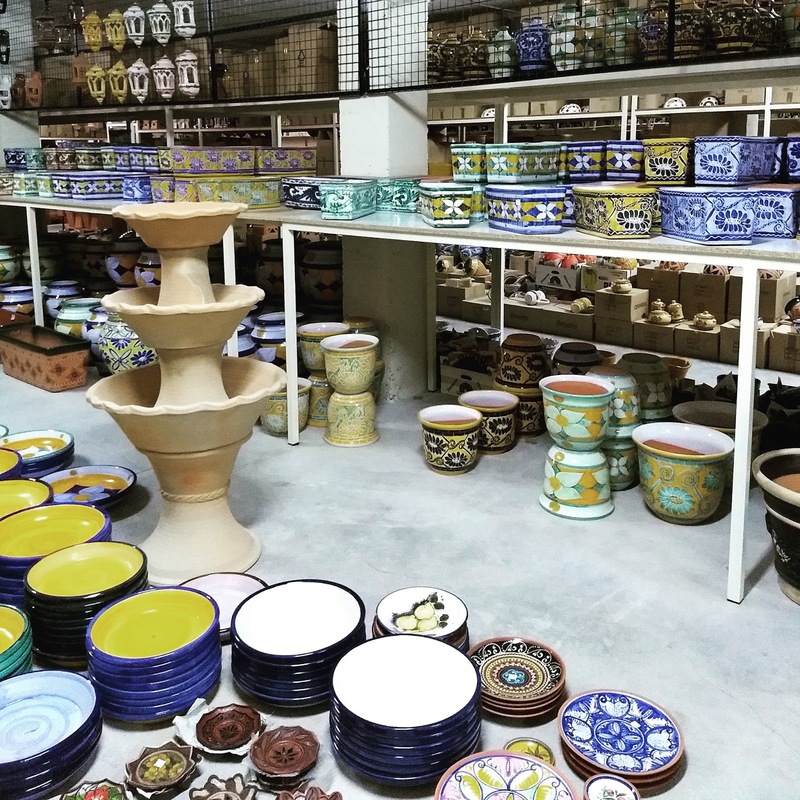 La Rambla is famous for their pottery and ceramics. 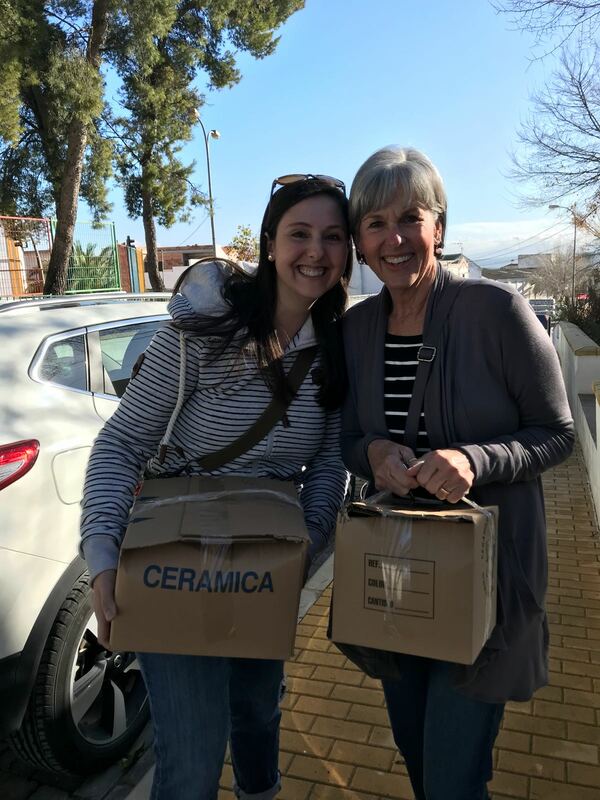 In fact, this it the town were many larger companies get their pottery from (Crate and Barrel being one of them). * And going directly to the source is a lot of fun and saves you the price mark up -- and the prices in La Ramba are amazing! First things first -- BRING FOOD. While we did get a few restaurant recommendations, I highly recommend bringing a sack lunch and snacks. The stores close for comida (siesta) so you will definetly want to use your morning wisely and not stop to eat (snacks are okay) until you are done shopping! Get an early(ish) start seeing as you only have until about 2:00 to shop until the stores close (we left Rota about 8:30 and pulled into La Rambla about 11:00 -- we moved quickly at each place and it was enough time for us... if you want to spend more time at the stores, leave earlier) and finally, BRING CASH -- some places will take credit card, but not all of them, so it is best to be prepared! So -- the places to shop! These are just the four we stopped at but there are plenty more in and around La Rambla, so if you have time -- stop into any store that's open! YES - such a fun day and such gorgeous pottery!! !